There are so many things you can do to raise money for Arms Around The Child. With unlimited imagination, a few guidelines, top tips and ideas, we can help you organise and plan your fundraising event. Armed with your pack of information, determination, a sprinkle of inspiration and a desire to make a difference you’ll be well on your way to a successful fund-raising event. It’s your chance to do what you want and have some fun. You can download some of our resources right now to get started, we’d love to hear about what you’re planning to do so contact us and let us know. If you need some help, we will provide advice and support whenever we can. Charity Car is the big-hearted scheme from the UK’s largest car recycling network, that allows you to turn your old car into a cash donation for charity. By choosing Charity Car, 100% of the market value of your scrap car will be donated to Arms Around The Child. You can choose whether to deliver your old car to one of its local recycling centres, or to make things really easy, they’ll collect it from you for free! It’ll be recycled responsibly, so you can be reassured there will be no harm to the environment. They’ll also help you to complete the necessary DVLA paperwork and issue your DVLA Certificate of Destruction, so you can prove your car has been recycled legally.  Did you know… You can now help ARMS AROUND THE CHILD (UK) – just by shopping online. A percentage of every pound you spend online will be donated to us when you shop online through Give as you Live. Sign up to Give as you Live on your desktop, tablet or via the mobile app. It’s fast, simple and 100% secure. Shop for millions of products at over 3,000 top online retailers including Amazon, John Lewis, eBay, Expedia and more. A percentage of every pound you spend online will be donated to us. The best thing is, it won’t cost you a penny extra.